Qualification:- Candidates must have B.Sc degree in Physics, Maths, Chemistry/ Industrial Chemistry. Qualification:- (i) 10th class pass with ITI OR (ii) B.Sc OR (iii) Diploma in relevant engineering subject. Eligible Candidates can apply online through the website http://www.iocl.com till 11-11-2017. Duly filled application along with all the relevant documents should send to Dy. 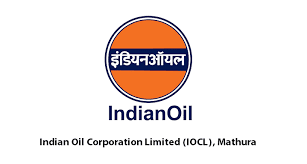 General Manager (HR), Indian Oil Corporation Limited, P.O. Mathura Refinery, Mathura -281 005 (Uttar Pradesh) till 18-11-2017. Candidates possessing higher professional qualifications such as BE/ BTech, MBA, CA, LLB, MCA shall not be eligible for the above mentioned posts. In case of non-availability of sufficient number of candidates to fill the above posts, the vacant seat shall be offered to reserved categories candidates in any other discipline. The Corporation will have no obligation to offer regular employment to ex-apprentices. Candidates have to bring all the relevant documents at the time of interview.